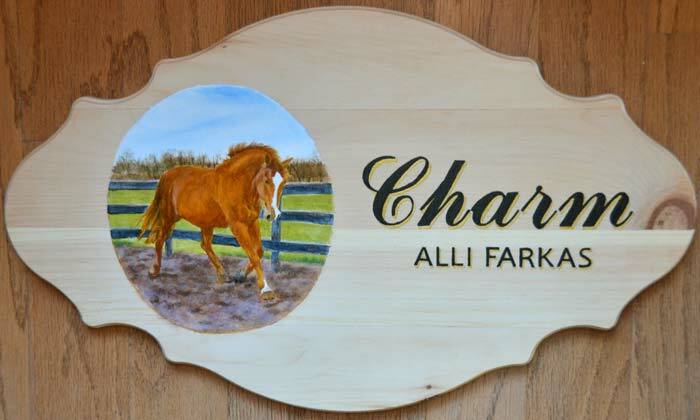 Custom hand-painted stall plates featuring your horse's portrait in oil paint with your name and your horse's name hand-lettered in acrylic paint. Your choice of typestyles. 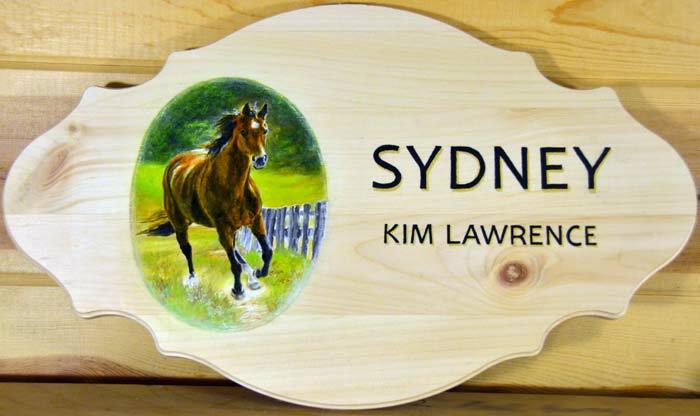 The entire plaque is coated with 5 or 6 layers of UV protective satin varnish. Many sizes and shapes available. See the examples below and email or call me to discuss all the options. Sample stall plate, this one is 19" x 12". Other shapes and sizes available. Oil portrait on wood with acrylic lettering. Your choice of lettering style and color. Prices start at $125 for plaques similar to this one. Stall plate for Charm, same size and shape as Sydney's but with script lettering. 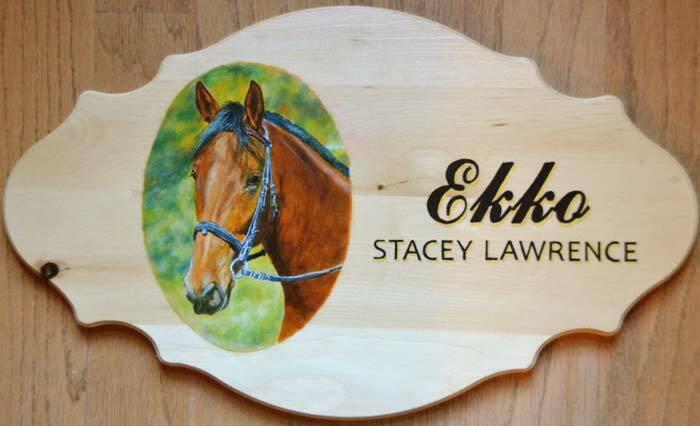 Stall plate for Ekko, with head study instead of whole body portrait. 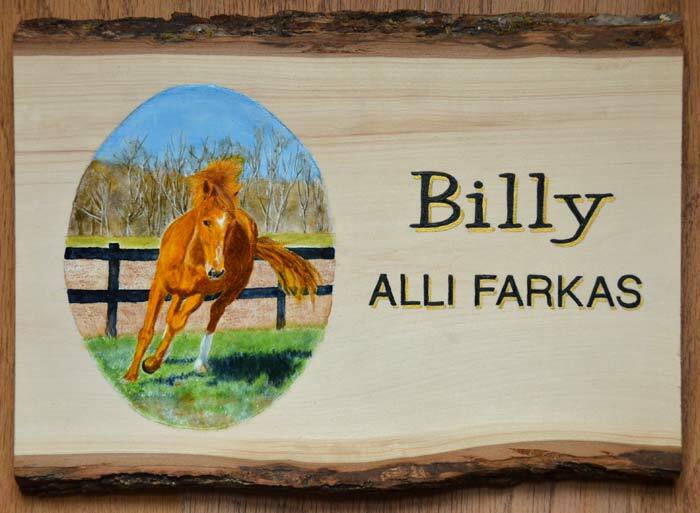 Stall plate for Billy, basswood with bark still attached and fun typeface. This size is approximately 13" x 10"